The lifestyle and genetic factors leading us to know more about symptoms of heart disease are becoming better known each year. We are becoming more aware that adopting healthy behavior such as avoiding tobacco use, being physically active, reducing stress levels, and eating nutritious foods can help in preventing heart disease. According to the American Heart Association, heart disease kills more Americans than any other disease, with 62% of all Americans having some form of cardiovascular heart disease. Nearly 2,500 Americans die of cardiovascular heart disease each day. That is an average of one death every 35 seconds. Cardiovascular heart disease is any disorder that affects the normal function of the heart and the blood vessels leading to it. Causes of cardiovascular heart disease are atherosclerosis, stroke, congestive heart failure, coronary artery disease, and high blood pressure (hypertension). The most common element in cardiovascular heart disease is a narrowing of or blockage in the coronary arteries supplying blood to the heart muscle itself. Heart disease is a condition beginning in the lining of the body's arteries and blood vessels (the endothelium). When cell membranes of the endothelium become inflamed and oxidized, arterial spasms can occur, creating hypertension (high blood pressure). The arteries supplying blood to the heart also go into spasms, creating a temporary lack of blood to the heart muscle. This same scenario may happen in arteries supplying blood to the brain, causing a stroke. An inflamed endothelium also causes a "sticky" condition in the arterial walls. Cholesterol itself becomes oxidized by a lack of nutrients and antioxidants, lending to this "sticky" condition. 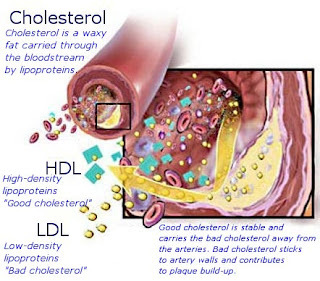 Plaque begins to form when Cholesterol adheres to the endothelium, causing a more permanent restriction in blood flow to the brain and heart. This can lead to heart attacks, strokes, and can cause high blood pressure to be more challenging to treat. "How can we play a role in preventing heart disease?" Seeking more knowledge about the symptoms of heart disease is a continuing process. In my opinion, the best way to treat a problem is to PREVENT a problem. Uncovering The Truth About Heart Disease and What To Do About It. Video: Do You Have Fat Surrounding Your Heart? Uncovering The Truth About Heart Disease and What To Do About It. Including all the right foods, but may still not be getting enough of the nutritional support necessary to maintain a balanced and healthy immune system? Video: What Your Doctor Never Told You About The Symptoms Of Heart Disease Cardiovascular health continues to affect almost 50% of our population. To understand more about the symptoms of heart disease and how to improve your heart health, go to this valuable resource and continue the process of seeking more knowledge about heart disease. Video: What They NEVER Told You About Cholesterol This web site provides information to the general public about the risks and conditions that lead to heart attacks. It helps people become aware that taking action now will lead to a healthier future.